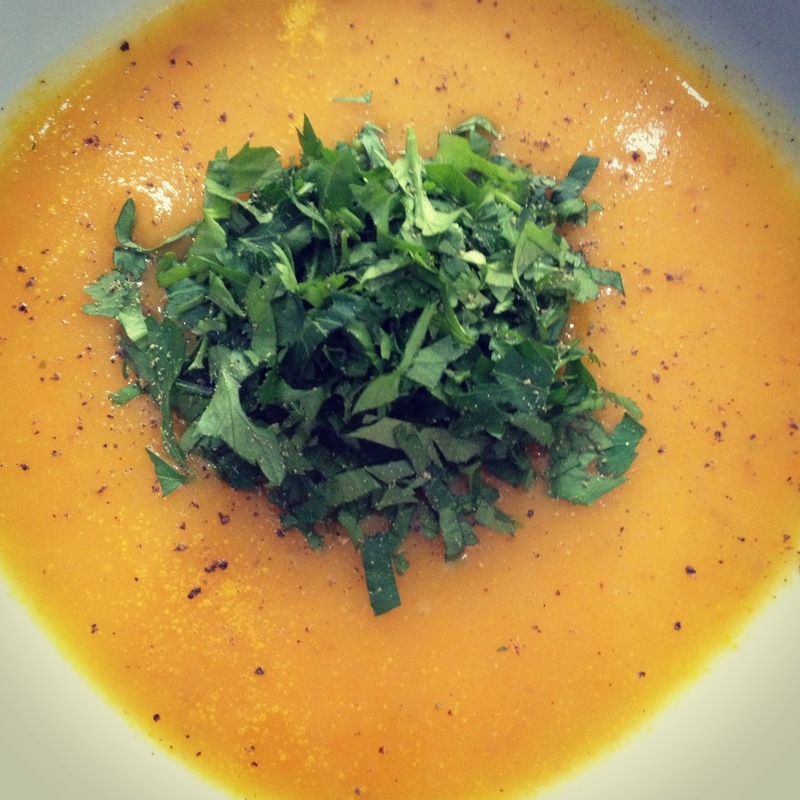 A lovely friend made us a delicious bowl of soup to replenish our bellies after a walk round the Holmfirth countryside a few weeks ago, so I decided to recreate the flavours and use up some limp carrots from the bottom of the fridge. You can flavour this soup with whatever you like, but the warming ginger and chilli work well with the sweet carrot. 1 small chilli, destalked and cut into a couple of sections. Heat the oil in a pan and sautee the veggies for a few mins. Add the garlic, ginger and chilli and then top up with the stock. Bring to the boil and then simmer for about 15 mins until the potatoes are cooked. Blitz to a smooth consistency, adding more water if necessary and then serve topped with chopped fresh herbs. Yummy. I adore Moroccan food. Absolutely, totally love it. Thankfully Fuz does too 😉 This was an easy and quick meal to use up some of the left over lamb from our Sunday roast. It would work well with leftover beef too. Begin by frying the onion in the oil in the base of a tagine or other heavy based pan. Add the garlic, ginger and spices and cook for another 5 mins or so. Add everything else apart from the almonds and bring to the boil. 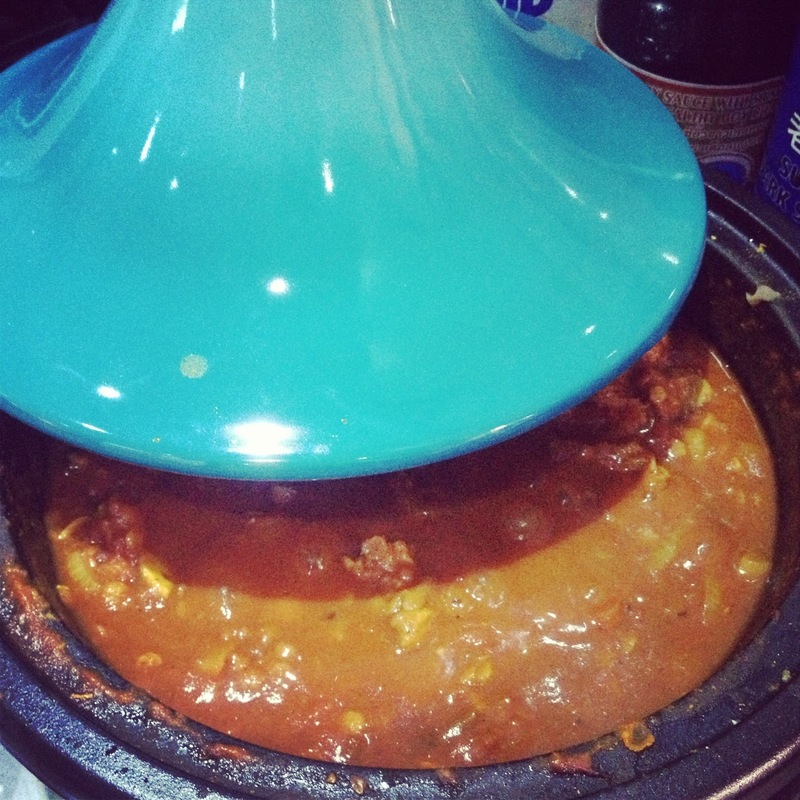 Reduce to a simmer and cook, covered, for 30-45 mins. Add the toasted almonds 15 mins before you want to serve, and remove the lid to thicken the sauce. Delicious with the orange, onion and almond salad. This was made for me a couple of weeks ago and was a revelation. I had never ever thought to add ginger to a tomato based pasta sauce but it works so well. Usually I reserve the holy trinity of ginger, garlic and chilli to Indian or Chinese style dishes, not pasta. But try it. You won’t be disappointed. The only problem with opening a jar of stem ginger in syrup is that you need to eat it within a week… So these were created to use up the jar I opened to make the sticky date and ginger loaf yesterday. This was a risk recipe as the original uses egg but I just omitted that and used some of the stem ginger syrup to replace it. 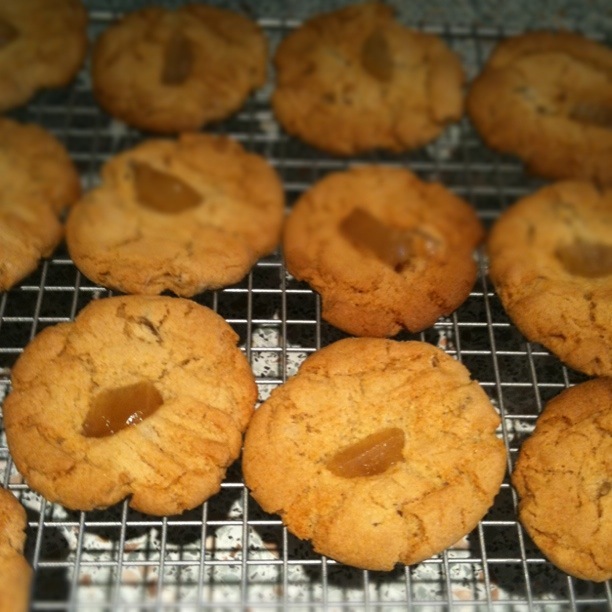 It worked a treat and these cookies are crisp but chewy and nicely packed with bits of ginger. The original recipe is another Rose Elliot (Vegetarian Cookery, original edition, p325). Mix the marge, sugar and syrup together till fluffy. Add the four, bicarb, ground ginger and stem ginger. Mix well. Add a little of the stem ginger syrup if you need to bring the mixture together in to a dough. Pull of bits about the size of a walnut and roll into balls. Place on a lined baking tray and flatten with a fork. Top each one with a piece of stem ginger. Bake in a moderate (160 degree) oven for 10-15 mins till golden brown and risen. Leave to cool for a few mins on the baking sheets then transfer to a cooling rack. 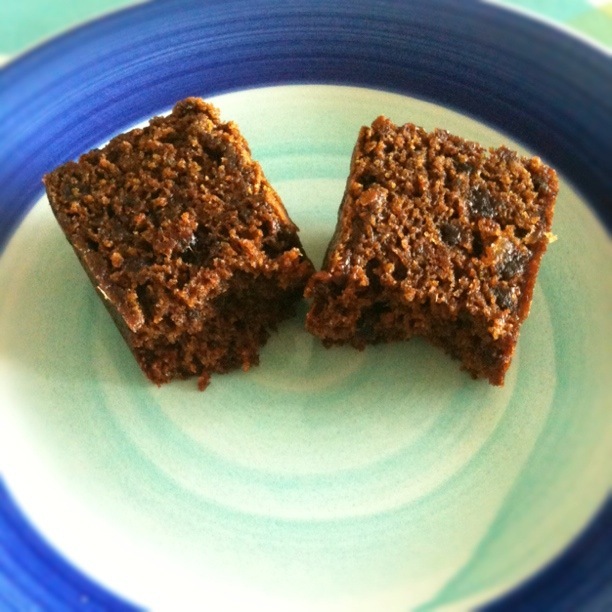 I love love love gingerbread and sticky gingery cakes and my staple vegan cake of choice is thus Rose Elliot’s fabulous parkin. But we all fancy different things at times and my recent decision to go totally vegan has meant my vegan cook books are getting more of a read of late. This is another Rose Elliot recipe, from her Vegan Feasts book (p164). I have tweaked it slightly in the method and by adding some of the ginger syrup in place of golden syrup. Heat the treacle, sugar, golden syrup and ginger syrup until everything has melted together. Leave to cool (this is important! If it’s too hot the cake will collapse). Meanwhile mix together everything else in a food processor to roughly chop the dates and ginger. Add the cooled sugar/syrup and pulse quickly to bring it together. Pour into lined loaf tins and bake in a moderate (150 degree) oven for an hour or so. The cakes last well and get stickier over a week or you can slice and freeze ready for lunches.